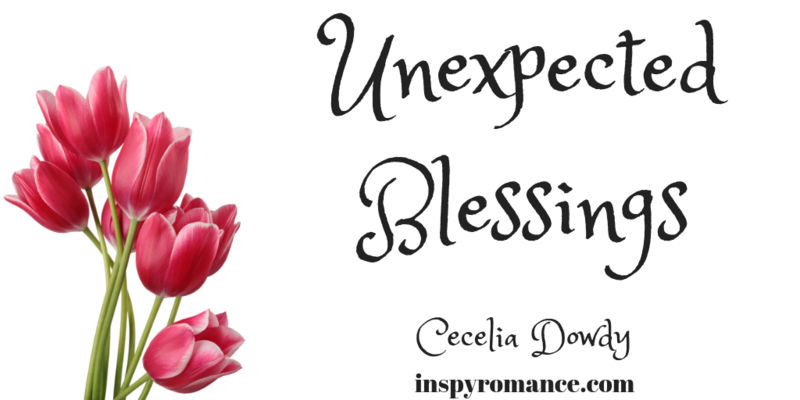 When was the last time you received an unexpected blessing? I hope all of you had a nice Christmas. I received a very wonderful unexpected blessing recently. I’m an accountant and financial analyst at my day job for a non-profit company. When we had our annual holiday party, it was announced that our company would be shutting down from Christmas Eve through January First with pay! It was free days off and I was oh-so joyous! I honestly couldn’t recall the last time I’d had the entire last week of the year off. This blessing came at a great time for me. Do you realize how nice it was to sit at home all week with my family without having to go to the office? What an unexpected gift! It was especially great since it’s been a stressful year. I used the time to sit and reflect on all that had happened during the previous year, and to make plans for 2019. I have several different projects in the works for the coming year and I’m so excited about them. I’ll continue my Candy Beach Series and I’ll also be starting a new bakery/foodie series based in Maryland. I spent some of my unexpected free time reading my Bible and thinking about Jesus. I was telling my son how important it was to help others and to show Christian charity. Overall, my family and I had a wonderful Christmas and I hope your Holiday Season was fruitful as well. During my hiatus from work, I also focused on my writing. I was busy putting the finishing touches on Southern Comfort. Southern Comfort will be released January 6th. You can read the first chapter here. So, do you recall the last time you received an unexpected blessing? Hi Cecelia, praise God:) What a beautiful blessing, to have the time with family. God blessed us today with beautiful weather and considerate people. People who showed patience and offered help when it was not required/expected of them. Yes, beautiful weather is always a blessing! Nice, considerate people are blessings, too! Happy New Year! How wonderful for you, Cecilia! I have received many unexpected blessings this past month, so many books from surprise sources!! Love your stories, looking forward to reading more!! Thanks so much Paula! I hope you have a blessed and fruitful New Year! Hi Cecilia! Thanks for sharing your story. Glad you had time to enjoy the holidays. Unexpected holiday blessings was an unexpected visit home from our youngest son. Some unexpected Amazon gift cards to help with my reading addiction. 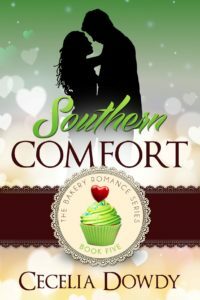 Southern Comfort is on preorder and looking forward to a sweet read. Blessing for 2019. Thanks so much, Renate! I hope you have a blessed New Year! What a great unexpected blessing! I’ve been blessed with amazing, unexpected, support from friends recently. That sounds wonderful! I hope you have a wonderfully Happy New Year! That was definitely an unexpected blessing! Its always nice to be able to spend more time with family at Christmas. Yes, time with family is always a blessing! I hope you have a great Happy New Year! Our unexpected blessing came in the form of a disguise. My husband fell at home. His head hit the wall and as a result, broke his neck. His heart stopped and he passed out, hitting the wall in the hallway. When he hit the wall, his heart started back up again. Until they did tests at the hospital, we had no idea that he had heart problems. So you might say, that day, we had 2 “Blessings in Disguise”. Oh my goodness Janet! I hope your husband has a speedy recovery and that his heart problems are not ongoing. Wishing you and your family a blessed New Year. We had the unexpected blessing of getting to see a lot of family over Christmas. Originally we thought we’d be home, and then with less than a week before Christmas, we found out we could spend Christmas Eve with my niece and family, and the rest of the time away we were able to stay with one of my husband’s brothers, and got to see his other brother and family, plus several cousins, some of whom were home from teaching in Dubai! Hi, Margaret! That sounds great! Seeing family is always a blessing! Happy New Year! Cecelia, that was a wonderful blessings. The last time I was really surprised with something unexpected was when my hubby gave me a trip to Wimbledon to see the tennis championships there. It was a trip to remember. Hi, Merrillee! Wow, that sounds awesome! Two of my colleagues for whom I substituted during their respective maternity leaves (4 altogether – 4 boys, no girls), added a beautiful necklace with “Jer 15:16” written on when they sent me a work anniversary gift at the end of Nov.
I’ve been wearing ever since, only took it off for some hours to see my godson (1 yo); didn’t want him to pull on it (and I wasn’t wearing a turtleneck that day where I could have hid it). Hi, Anke! Wow, that sounds nice and pretty, too! Happy New Year! The unexpected blessing I received for Christmas was a six month gift subscription to a coffee-of-the-month club and a “secret Santa” gave my husband a gift certificate for dinner at an Italian restaurant in town for the both of us to enjoy. 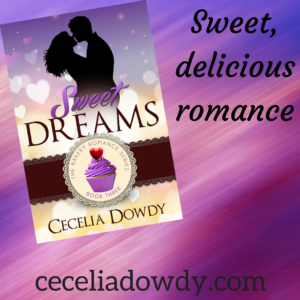 Cecelia, so happy you had enjoyable time off…with pay! Nov. was hectic for us with dh health, but I can look back now and see GOD was always with us! Hi Cecelia, so happy for you. I am an accountant and financial analyst too :) I took two weeks of vacation to spend with kiddos! What a blessing!